A recent addition in the war on fleas is Comfortis®. It comes in a pill form and is a chewable. Like any “chewable” medicine though, not every pet will like its taste, so it may need to be mixed with something your pet finds suitable. Comfortis® lasts for one month and starts killing fleas in 30 minutes. This is a good alternative to flea medicines that are applied to the skin. You do not have to worry about bathing, swimming or getting caught in the rain. Some people do not like the topical treatments applied to the skin, so Comfortis® may be an alternative for them. Comfortis does not work on ticks, so if they are a problem for your pet, you likely will need a topical product. NOTE: Comfortis® needs to be given with a full meal to help in the absorption and disbursement of the medicine. This product can be used for dogs and cats. 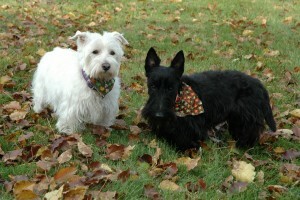 The official website for any questions is www.comfortis4dogs.com. Now we have Trifexis® which is flea preventative and heartworm medication in one pill.